From preparation to delivery of mid-day meals, our kitchens operate on a daily basis keeping in mind two most important elements: hygiene and quality. Decentralised kitchens are set up in locations where geographical terrain and bad road connectivity make it difficult to set up a large infrastructure. These kitchens are run by women Self-Help Groups (SHGs) who undertake the cooking process under the guidance of Akshaya Patra. 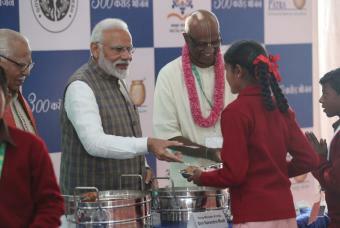 The members of these groups are trained in Akshaya Patra’s kitchen processes and operations module and are monitored by Akshaya Patra representatives to ensure that safe, nutritious food is being provided to children in their mid-day meal. We have decentralised kitchens in Baran, Rajasthan reaching out to 155 schools and in Nayagarh, Odisha reaching out to 342 schools. 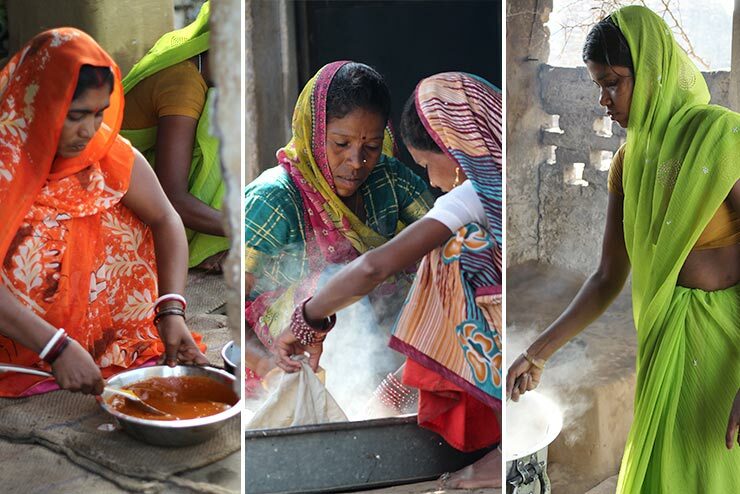 We set up our first decentralised kitchen in Baran, Rajasthan and with support from the local Sarpanch (head of the village) of the area, Akshaya Patra hired and trained women from Self-Help Groups to cook the nutritious food in kitchens across the district, and feed the children. While the decentralised kitchens prepare mid-day meals for school children, they also help in building Self-Help Groups with sustainable income and social standing.